If Google is the Queen of Search Engines, then Content is the King of every website! Does your professional website consist of a unique and, simultaneously, original content? What is the visit duration of your e-shop’s visitors? Do you provide them with the motive to stay longer and make them convert to an action? 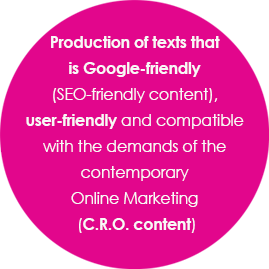 Content is not randomly one of the most crucial factors that affect quality scores in a professional website or e-shop. 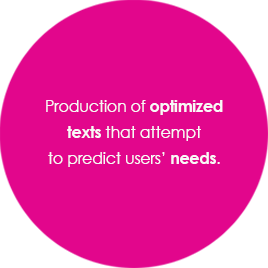 Texts, titles, descriptions and copies that distinguish for their uniqueness, originality and directness are more possible to attract a large audience compared to a website that includes a lacking, duplicated or no content. 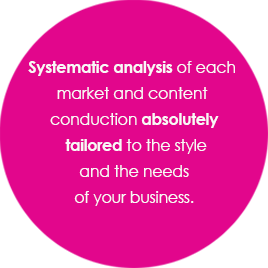 We are here to cover, in the best possible way, the content needs of your website, enriching it with content that will motivate users to visit, browse deeper and at the end of their “journey” become active clients from the “stage” of potential clients. This is the main objective of every single online business, isn’t it? 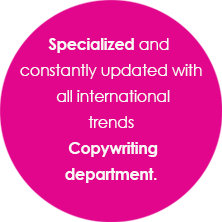 The constant education around all the up-to-date international trends in the field of copywriting is at the core of our business. 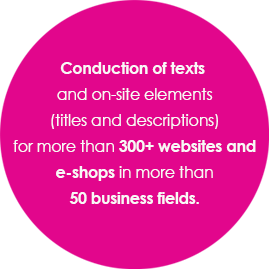 For a professional website the point- information and content level- is the quality, the ability to describe and the growing interaction levels with the user. We are here to investigate, organize and implement, always in cooperation with you, a targeted and effective on-site strategy. 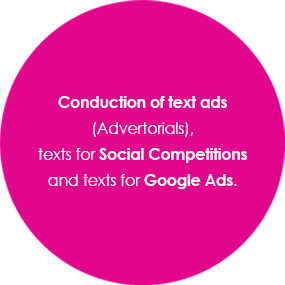 We do not conduct texts just to “fill in the gaps“ of your website. Our objective is to “activate” your potential customers.